An online survey by Canadian Geographic is asking Canadians to vote for the bird they think belongs atop the perch as our national bird. Common loon? Snowy owl? Canada goose? 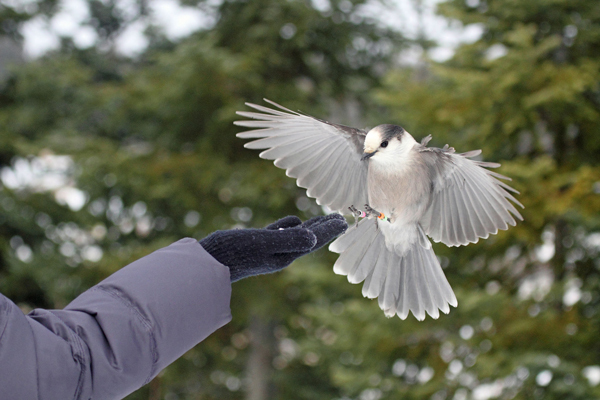 David Bird, McGill’s longstanding expert on all things feathered, is championing the gray jay. If people were asked to name Canada’s national mammal, many would correctly say the beaver. National tree? The maple, of course. National winter sport? Hockey. National bird? … National bird? Anyone? If you are unable to come up with an answer, don’t worry you’re not alone. And with good reason – unlike many countries, including our neighbour to the south, Canada doesn’t have a national bird. Yet. In an effort to rectify the situation, Canadian Geographic has launched the National Bird Project, an online survey for Canadians to vote for the bird they think would best represent the country. The hope is that this will begin a discussion that will culminate with the selection of our national bird. Over 27,000 votes later, a pecking order is starting to take shape. Flying high in first place is the common loon, perched in second is the snowy owl and swooping into third is the gray jay. David Bird, McGill Emeritus Professor of Wildlife Biology, has no problems with the three frontrunners – or in this case, front flyers. It’s the order that has ruffled his feathers. For starters, says Bird, both the loon and the snowy owl are official birds of Ontario and Quebec respectively. The gray jay enjoys no such designation. “If you elevate either the loon or the snowy owl to the status of national bird, no doubt people from the other province will complain,” says Bird. Of course, what could be more Canadian than a little good, old-fashioned Quebec-Ontario acrimony? Bird points out that the gray jay is found in all 13 of Canada’s provinces and territories. Add to that, the fact that, aside from Alaska and the Rocky Mountain region in the U.S., the gray jay is found almost exclusively in Canada, while the other two are found elsewhere around the world, and you have a quintessentially Canadian bird. “The common loon spends two-thirds of the year in the U.S. Sure you could say in that way they represent the typical Canadian snowbird, but that’s a little much, no?” says Bird with a laugh. And unlike another crowd favourite that currently sits in fourth spot in the survey, the Canada goose (which Bird calls “an aggressive, poop machine that is such a nuisance it is culled in other countries”), the gray jay possesses many of the qualities that represent the best of Canadians. 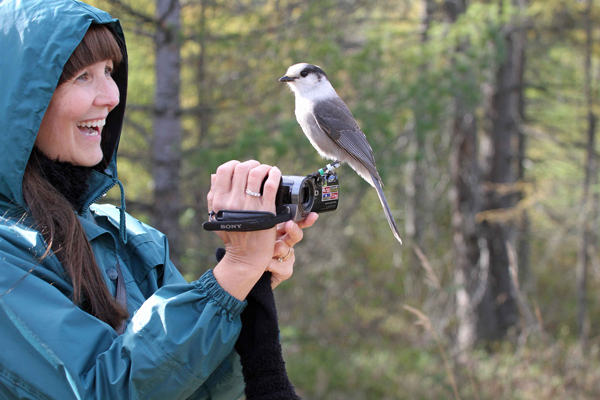 “The gray jay is hearty and resourceful – just like we are,” says Bird. “It has adapted to living in very cold, snowy regions by putting together seeds and insects with sticky spit and storing them in trees above the snowline. The gray jay is primarily found in boreal forest, a vast, ecological zone that is currently under pressure from oil and gas development. Bird hopes that designating the gray jay to national bird will raise people’s awareness of the importance of protecting this vital part of Canada’s geographic identity. If that isn’t enough, the gray jay’s French name is mésangeai du Canada and its Latin name is Perisoreus Canadensis. Ironically, the gray jay was called the Canada jay by ornithologists until some 50 years ago, when it was renamed gray jay (“And they gave it the American spelling of ‘gray’ which really sticks in the craw,” says Bird). Bird is spearheading efforts to have the old name reinstated by the Nomenclature Committee of the American Ornithologists’ Union – a process he thinks will be made easier if the gray jay becomes our national bird. Learn more about the National Bird Project and cast your vote today. The gray jay is a formidable Canadian bird but unfortunately most Canadians will never get to see one. My vote goes to the black-capped chicadee. I agree with Wayne – who knows anybody who has ever seen a gray jay? Have to disagree on the chickadee choice though and would vote for the Loon, Ontario be damned! The black-capped chickadee is already the state bird of both Maine and Massachusetts, and the provincial bird of New Brunswick (Wikipedia). And it’s wider range means it’s not particularly Canadian. I would have voted for the loon, but I see the merit in the gray jay. 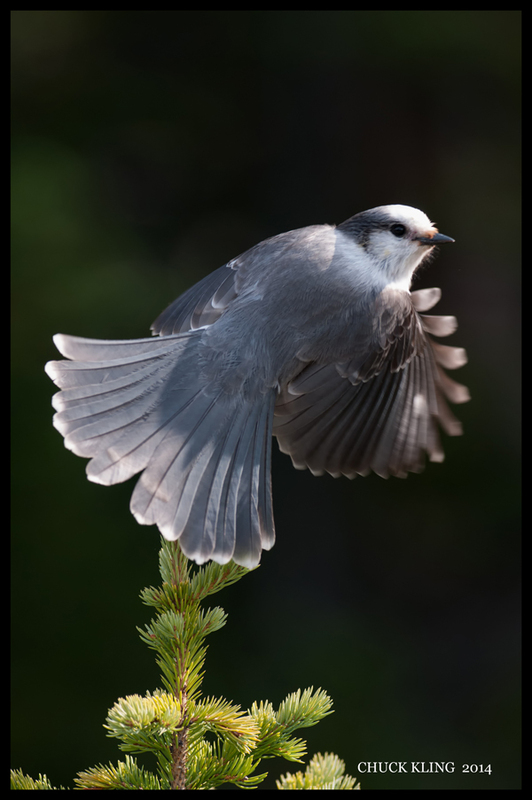 I totally agree with nominating the “Canada Jay”…… Gray Jay/Whiskey Jack/Moose bird…. the latter is what we call them in New Brunswick. I was a child the first time I experienced the magical moment of their friendly and outgoing demeanor. The loon is another great choice!